Second Year in a Row, InCycle Makes Podium. 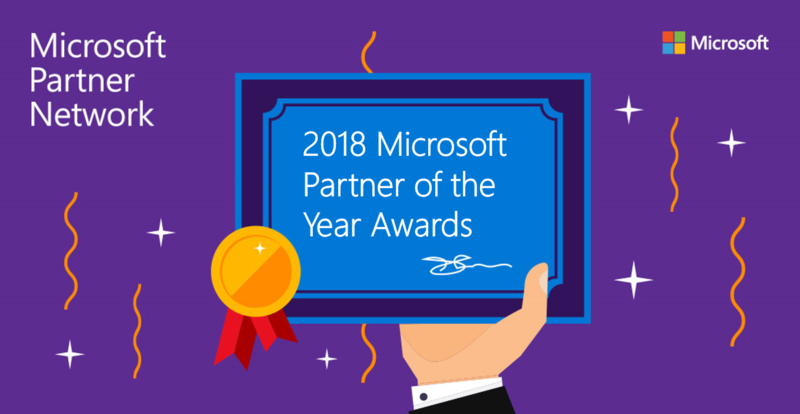 Microsoft Corp. announced the winners and finalists of the Microsoft 2018 Partner of the Year Awards. The annual awards recognize top Microsoft partners demonstrating excellence in innovation and implementation of customer solutions based on Microsoft technology. Award winners and finalists from around the world will be recognized at Microsoft Inspire taking place July 15–19, 2018, in Las Vegas, Nevada. This year, the award recipients were selected from more than 2,600 nominations collected from 115 different countries worldwide based on their commitment to customers, their solution’s impact on the market and exemplary use of Microsoft technologies. InCycle, DevOps Partner of the Year winner in 2017, is again in the winner circle. "We are delighted to have been recognized two years in a row. This is a testament to our extraordinary team and the value we bring to our customers." Partner of the Year Award winners and finalists represent the best and most forward-thinking innovators in the partner community. InCycle is a leader in application modernization and helps companies deliver modern software. By using a proven framework and packaged solutions, InCycle customers realize business goals faster with a superior ROI.